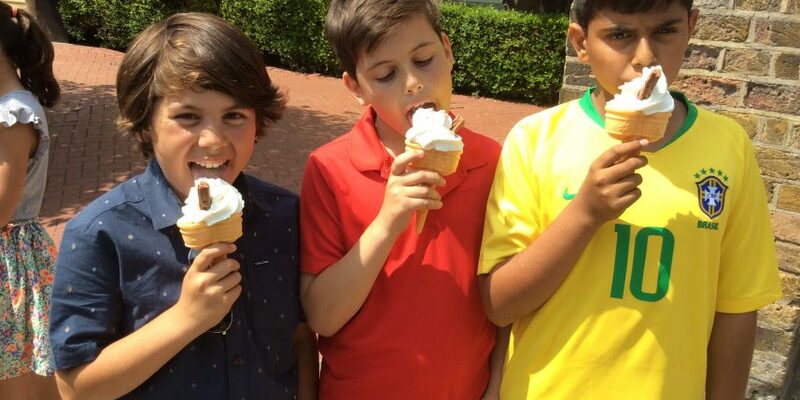 To celebrate winning the House Cup this year, Lancaster spent Wednesday afternoon in Holland Park, playing games and munching on 99 flake ice creams. This year has been a close competition between the four houses, with Portobello and Lancaster vying for first place over the past few weeks. A big thank you to the amazing house captains, Bella for Ladbroke, Kinoli for Blenheim, Margot for Portobello and Cadence for Lancaster, who have diligently lead their teams and been great examples for the younger children. Bring on next year!